San Antonio is about as photogenic as it gets. 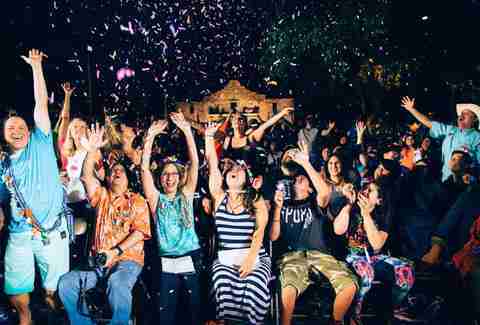 We've got the Alamo, the River Walk, historical missions, and, of course, Tim Duncan. 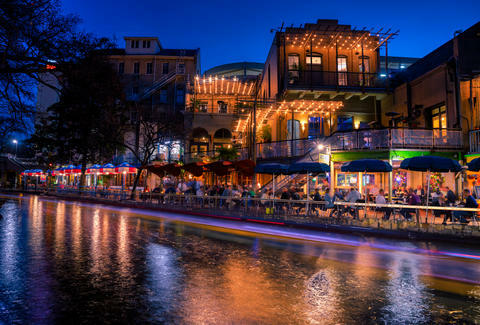 Over the past year, photographers around the city captured San Antonio's beauty with ease. As we dive into 2017, we wanted to take a moment to look back at some of their best accomplishments. 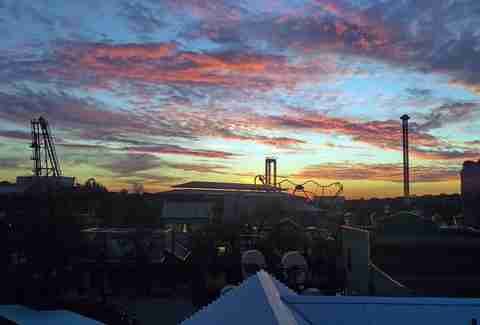 Here are our favorite photos of the city from 2016. 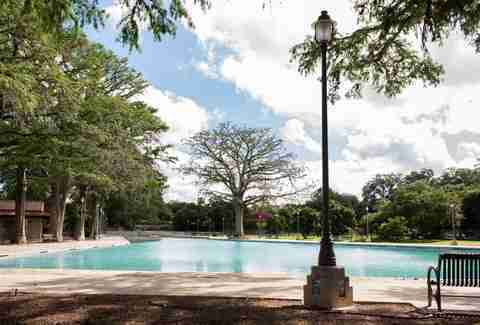 View of the fountains at the San Antonio Botanical Garden. Huge rainbow after a summer shower. 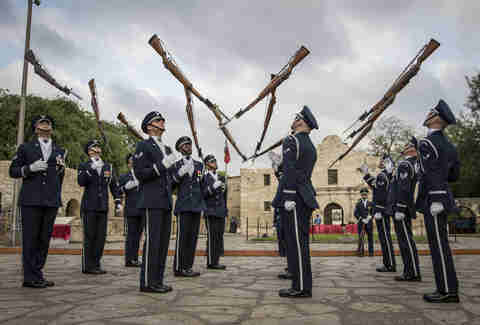 Members of the US Air Force perform in front of the Alamo during the Investiture of King Antonio event. 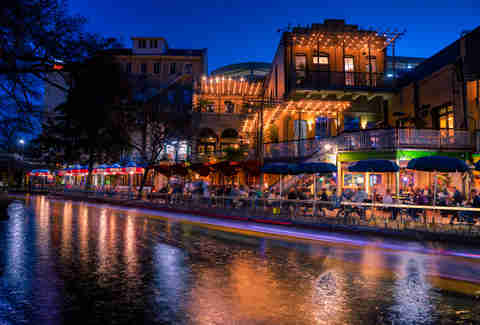 A busy weekend night on the Riverwalk. 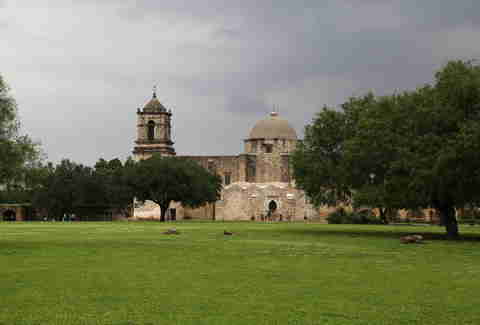 Mission San José before a storm rolls in. 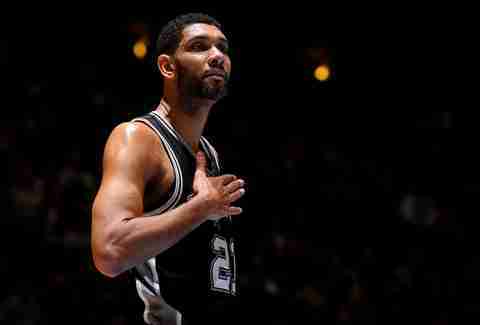 Timmy thanking loyal Spurs fans. 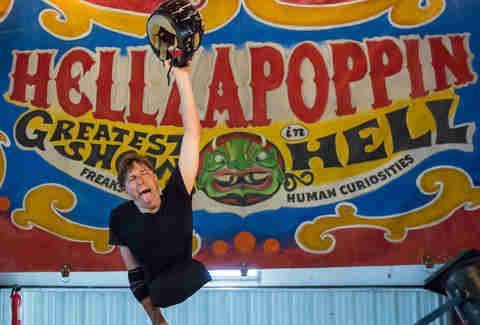 Hellzapoppin Circus Sideshow performing at the River City Rockfest. 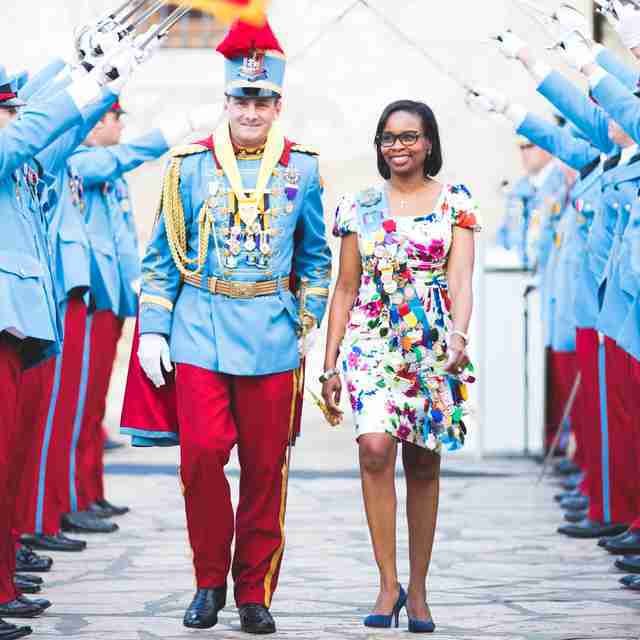 Mayor Ivy Taylor and King Antonio XCIV approach the crowd after his investiture. 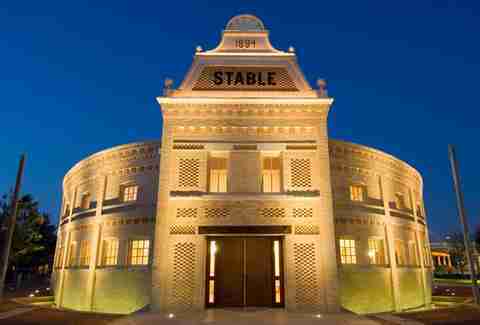 The Pearl Stable at night. 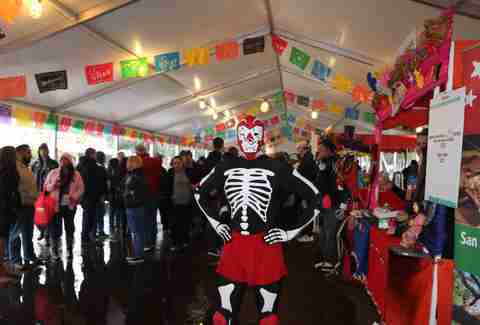 Tamale Fest was well attended despite the wet weather. 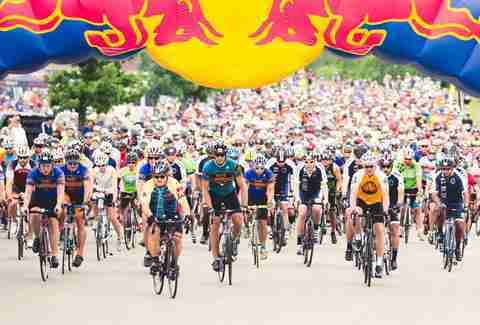 The Fiesta Wildflower ride kicks off. 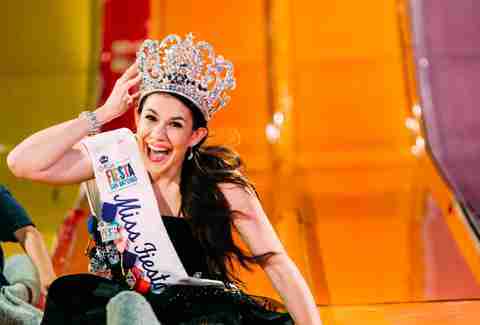 Miss Fiesta enjoys Fiesta Carnival. 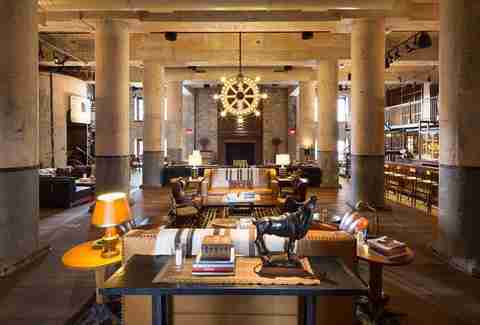 Highly anticipated Hotel Emma's beautiful interior. 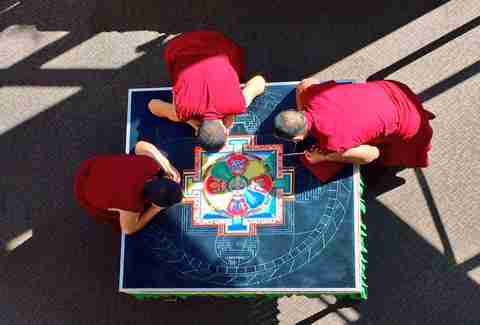 UTSA celebrates International Education Week with Tibetan Buddhist monks from Drepung Loseling Monastery. 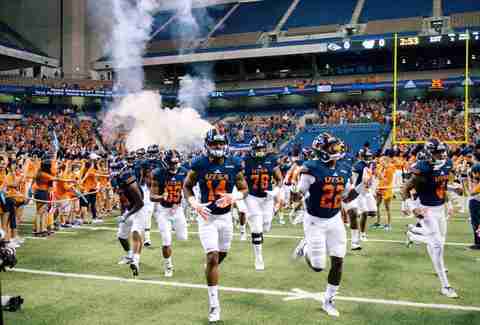 The Roadrunners had one of their best seasons in recent memory under new head coach Frank Wilson. 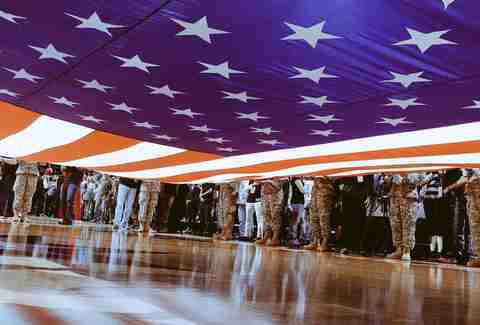 The Spurs pay respect to the victims of 9/11 and their families. 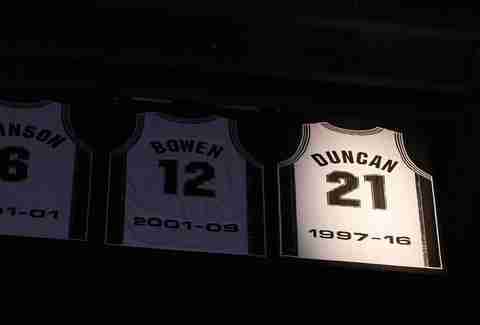 A new jersey for the rafters. 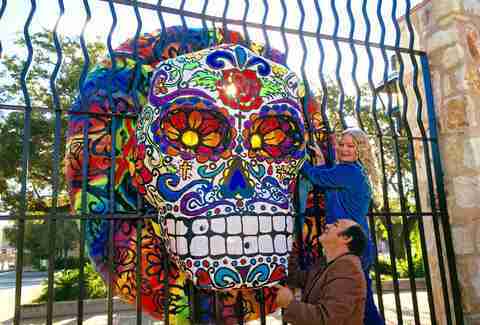 Art in San Antonio's famous La Villita. 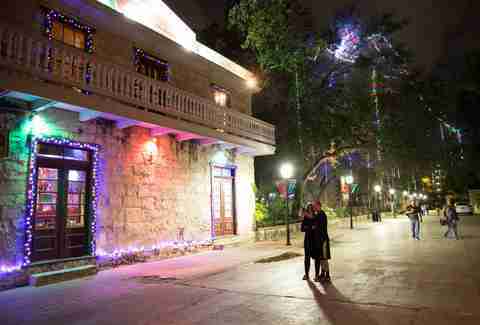 Lights hang at La Villita. 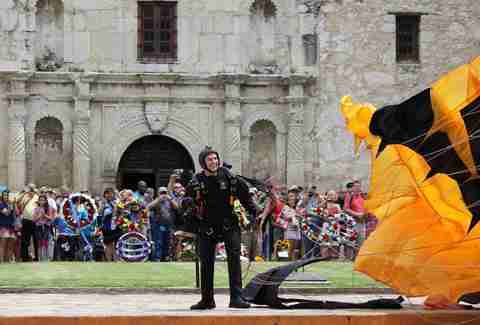 Members of the US Army's Golden Knights parachuted into Alamo Plaza for Fiesta. An empty San Pedro Springs Park. 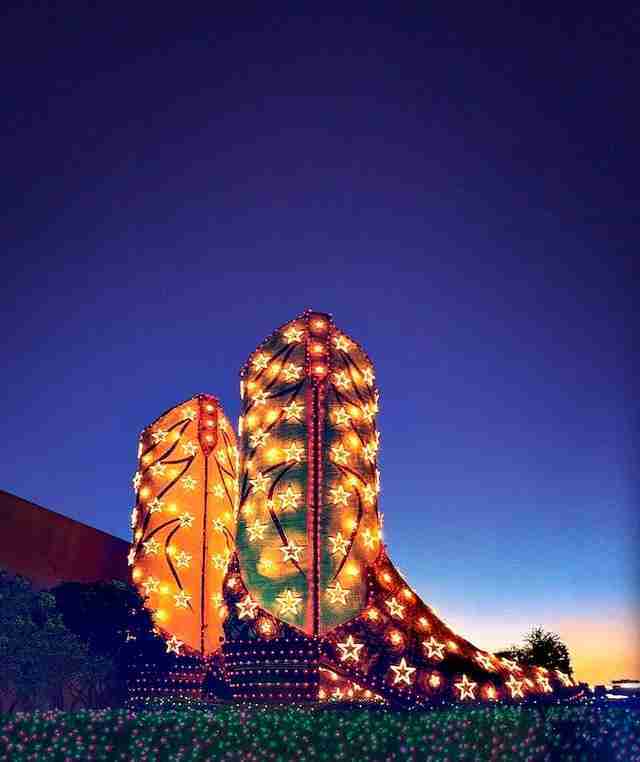 The North Star boots at night.